With all of the new development happening around Austin, and specifically right here on Congress Avenue, it’s truly remarkable that Austin’s original performing arts venue has stood the test of time. As one of the first – and few remaining – examples of early and distinctive theatrical architecture, the Paramount stands as a testament to how important the venue is to the community and the cultural landscape that makes Austin unique. Once you’re here, you can’t help but feel you’ve entered a special place that wraps itself around you, making you feel welcome, timeless and inclusive, both with other members of the audience and the performance itself. From Houdini to Katharine Hepburn, to current artists like Bonnie Raitt, Lyle Lovett and Sheryl Crow, the Paramount, and its audiences, have seen it all over the past 100 years…here’s to the next century! 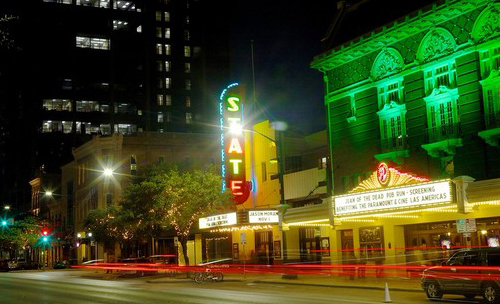 The Paramount and State Theaters are licensed TABC Mixed Beverage establishments that get over 51% of their revenue from the sale of alcoholic beverages. Therefore, per State law, the carry of any weapons or firearms, concealed or unconcealed, and whether licensed by the State of Texas, or unlicensed, is a felony. The Paramount and the State can lose their liquor licenses if it allows persons to possess any firearms on its premises. For security purposes, the Paramount and the State each have uniformed Austin Police Department Officers on the premises for each performance. 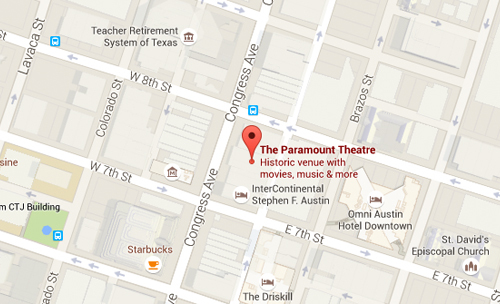 The Paramount & Stateside Theatres are located next to each other on Congress Avenue, between 7th and 8th streets. There are a variety of good transportation options to get here. Enjoy your the rest of your downtown experience by lodging or dining with one or more of our recommended and valued Paramount & Stateside Theatre partners! 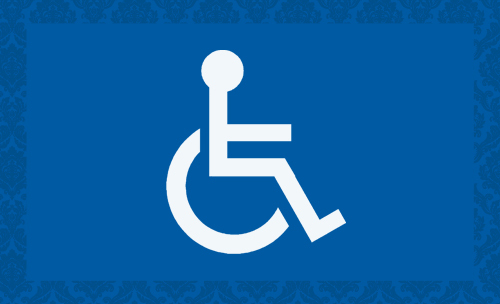 The Paramount & State Theatres strive to be accessible to all patrons of the arts. The following is a list of services we provide to patrons who would like accessible accommodations.